Many belt buckles to choose from including fish buckles, fleur de lis belt buckles, Irish celtic knot belt buckles, skull belt buckles and outlaw buckles and girly belt buckles. 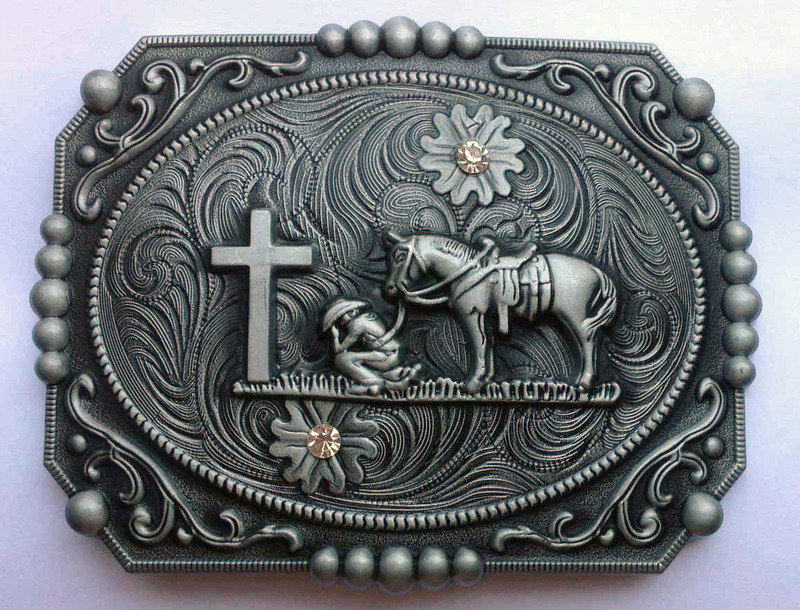 All the buckles are crafted from a zinc alloy and will fit on any 1 1/2" belt. Shipping cost is included with purchase of belt. For Buckle only - Flat rate of $7 or free shipping on orders over $80.